The holiday season always makes us personally feel more thankful and “nicer” than we do throughout the rest of the year. People tend to be more giving and appreciative (outside of the holiday shopping madness, of course). We’re taking this opportunity to try something new that we’ve seen in other neighborhoods. 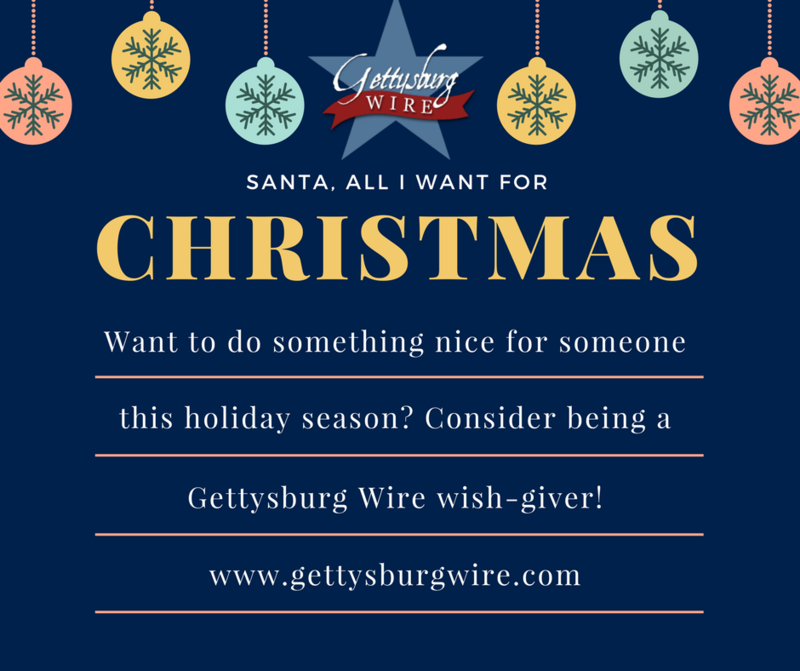 We want to experiment with a Gettysburg Wire “Wish-Giving” event this year. 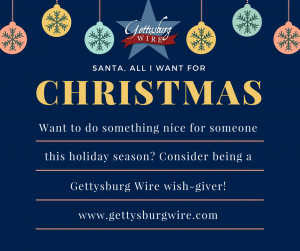 What is a Gettysburg Wire Wish-Giver? Essentially we match up those who wish for something with those who are capable of giving something. Post here in the comments or on our Facebook Page something you wish for, and browse other wishes to see if there’s something you can do for someone else. Several of these examples we have actually donated ourselves over the years, so we know they are doable and within the realms of possibilities for some people. So if you are in the giving spirit this year, and can fullfill someone’s wish, definitely let them (or us) know. We would absolutely LOVE to acknowledge you (and/or your business) for your good deed. I wish I had a gift card to Giant for groceries so we could have a big holiday meal . There’s 5 of us. I also wished I could go shopping for groceries and buy cool holiday foods like others do. .
How much of a Giant card would allow you to do this? Agatha, any amount would be helpful. No amount is too small.